1. 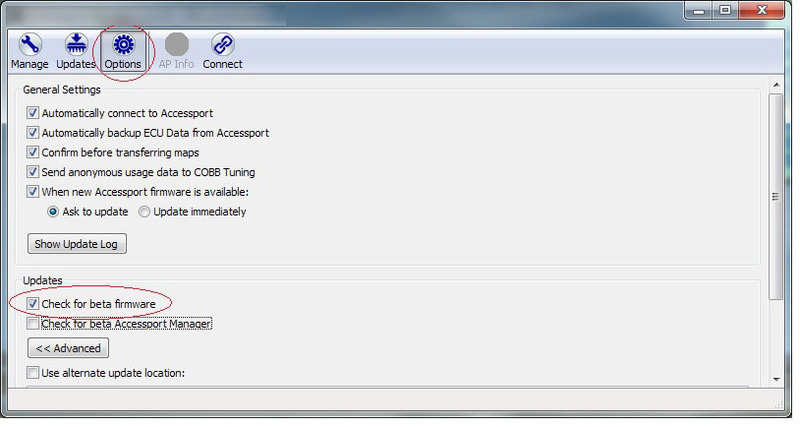 Open the Accessport Manager application on your computer. If you do not have Accessport Manager installed on your computer, you may download Accessport Manager here. 2. Plug the Accessport into the computer using a micro USB cable. 3. Click on the Updates icon in the menu bar. 4. If updates are available, the Begin Firmware Update button will be visible in the upper right corner of Accessport Manager. Click this button to begin the firmware update process. 1. Click on the Options icon in the menu bar. 2. Click the box to the left of “Check for beta firmware”. 3. 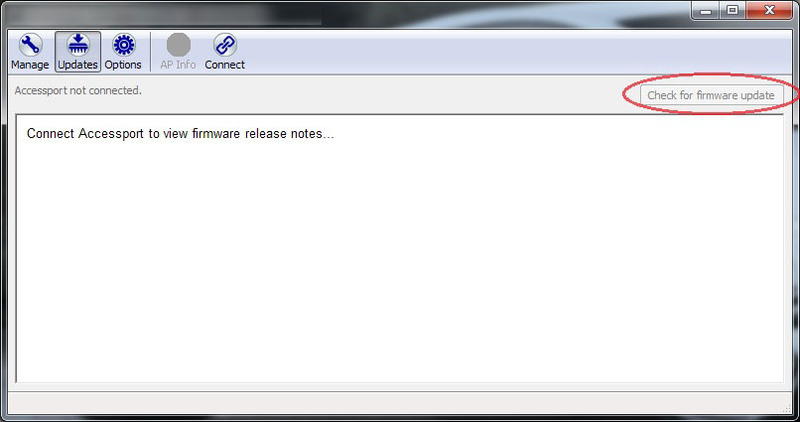 Continue by following the normal UPDATING FIRMWARE instructions to install the latest beta firmware. 4. 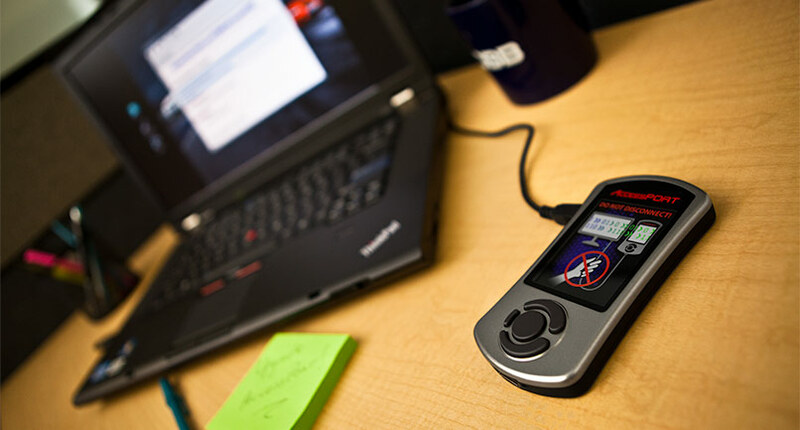 You may revert to the latest Release version of firmware by unchecking the “Check for beta firmware” option and following the UPDATING FIRMWARE instructions again.